Branded handsets are often targets of burglary. They are always needed to be protected by providing extra features. That extra features are often costs certain bucks from the users in addition to the cost of the handsets. In most cases these extra precautions never works and when the phone is being stolen it is the true owner who mourns over the loss. The gadget thieves often saw such burglary as attractive way to easy money. The branded phones are always loved by all. The snatchers are targeting these lovers of branded phones who cannot afford fresh ones but can afford the seconds. The application was introduced by the Apple iPhone, one of the top selling branded phones in the world. The app named “kill switches” are slaying the dreams of iPhone snatchers. Once the owner of the phone came to know that he is not going to get back his handset, he could activate the kill switch. Then it would destroy the mobile phone to that extend that the snatcher or whoever uses the handset cannot use it again. This makes the phone valueless and the snatcher is prevented from earning easy money. The owner activates the kill switches with the help of remote activation even from faraway places. The gadgets would look alike a piece of rock if it has no technical marvels. With the introduction of kill switches the theft of costly branded smartphones reduced. 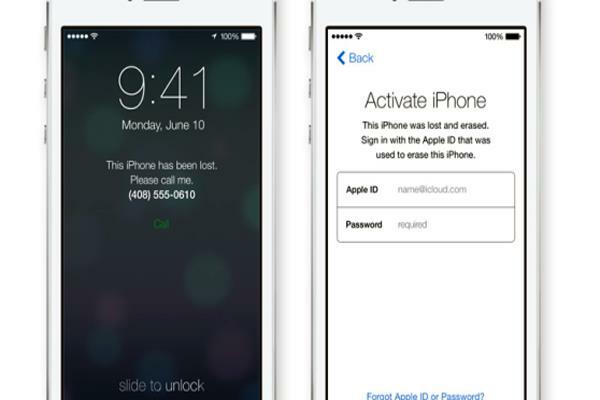 The first company to experiment with kill switches is the Apple known as “Activation Lock” back in September 2013 with iOS 7. Now the latest 2 versions if iPhone is embedded with the feature. Following the path laid down by the Apple, Samsung also included the app in their phones too. NY commissioner William Bratton suggests that the theft of smartphones have reduced considerably with the introduction of the new technology of kill switches. Reuters mentions the statistical data and reports that with the introduction of kill switches there is a steep drop in smartphone snatching in San Francisco, New York and London. Since Apple introduced the technology the theft of iPhones dropped by 50% in London, San Francisco by 40% and New York by 25%. London mayor Boris Jhohnson said that these kill switches effectively helped in reducing the increased smart phone thefts that already affected major developed cities. Other manufacturers have their own variations of kill switches. It would allow the users to lock their handsets from remote locations. The main object of these kill switches are they act as a preventive measure rather than for damage control or protecting user data. With the introduction of the kill switches the theft smartphones becomes useless in the hands of thieves. It reduces its commercialism and helps in effective prevention of increasing crimes in major cities of the world. Thus as a social cause the company really focuses on its corporate social responsibility sector along with making profit. It proves that the particular company cares for the customer always even after the product is being sold. Soon it should be applied to other product sectors so as to prevent its theft and burglary.